These albums’ tales of comrades lost, bloody sieges, and drunken debauchery caught on so quickly that the demand for more manly and archaic music came to a head. So, In 2012, The Dread Crew of Oddwood forged their genre defining album Heavy Mahogany. Funded by the band’s rabid fans, this award-nominated masterpiece brandishes the true voice of their genre. From the first note of “Meat, Bread, and Wine” to the last note of “Seafarer’s Medley,” Heavy Mahogany will take you on an unforgettable journey through time, space, and the seven seas. Captain William Kidd’s execution speech comes to life in “When I Sail’d,” and just when you think the fun is over, the crew sings songs of subjects as diverse as airships, zombies, demons, alcohol, and George Washington. Heavy Mahogany is the standard by which all pirate music shall be judged! Over the past 6 years The Dread Crew of Oddwood has independently booked 8 national tours, performing at over 70 venues throughout the U.S. and Canada. 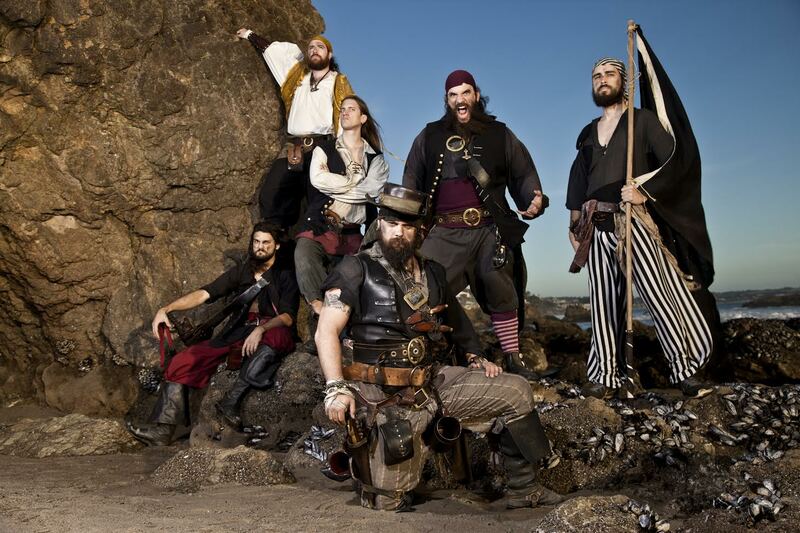 In early 2015, they supported Alestorm and Swashbuckle on their quest for hooks and booty on Piratefest North America. 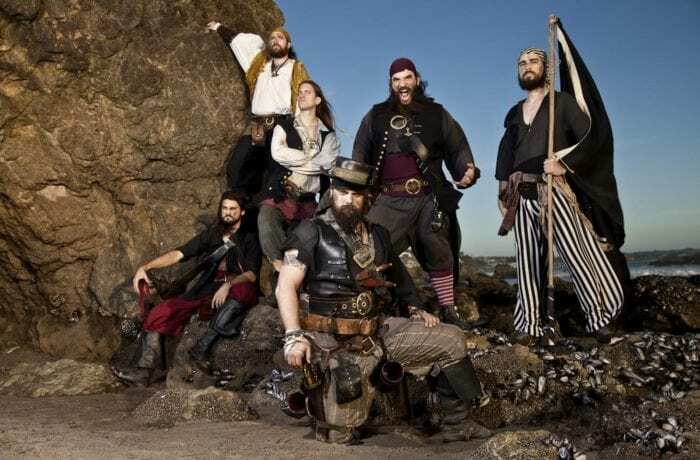 This crew of bearded brigands packs bars and concert halls with rabid fans that flock to experience a headbanging, jig-dancing, pirate-filled adventure. Locally, they’ve directly supported the bands Turisas, Firewind, Rhapsody of Fire, Arkona, Heidevolk, Stolen Babies, Buckethead, and Steam Powered Giraffe. By infusing the raw energy of heavy metal with Celtic folk music, The Dread Crew of Oddwood’s Heavy Mahogany style has carved a distinct and popular niche in the heavy metal community. They riff and shred on the accordion, mandolin, bouzouki, tin whistle, toy piano, acoustic guitar, upright bass, and “Oddkit”, while weaving grandiose tales of comrades lost, bloody sieges, drunken debauchery, zombies, airships, and time travel! The Dread Crew of Oddwood recently finished recording their latest acoustic monstrosity ‘Lawful Evil’ which was successfully crowdfunded on Kickstarter and is set for release on March 25th 2016.